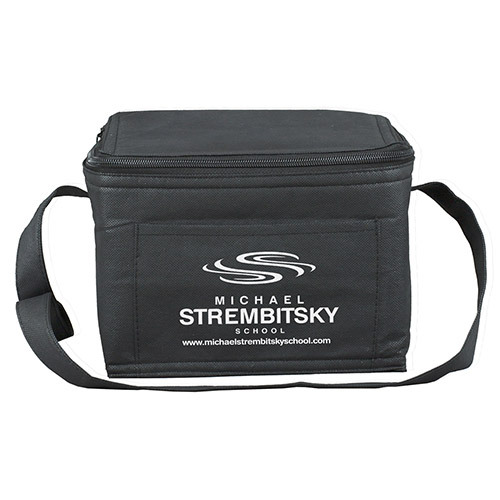 Insulated and keeps the contents cold and fresh. Great to have on any outdoor activity or event. Available in Red, Blue or Lime Green. 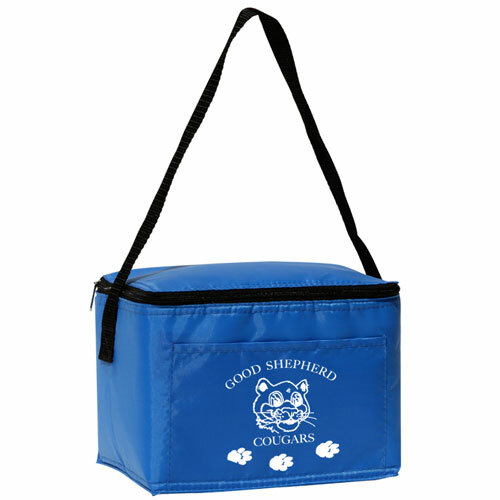 Send a strong promotional message with this Penpal Standard Six Pack Cooler!At 8" W x 6" D x 6" H with 32" L Strap , this container is made from durable 210 denier polyester. 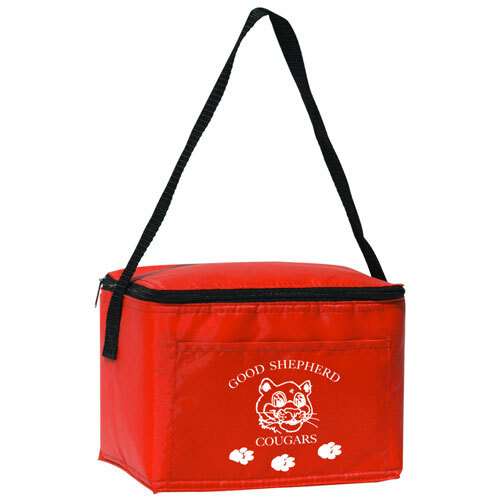 The fully insulated pack keeps your contents cold and also features a zippered closure. 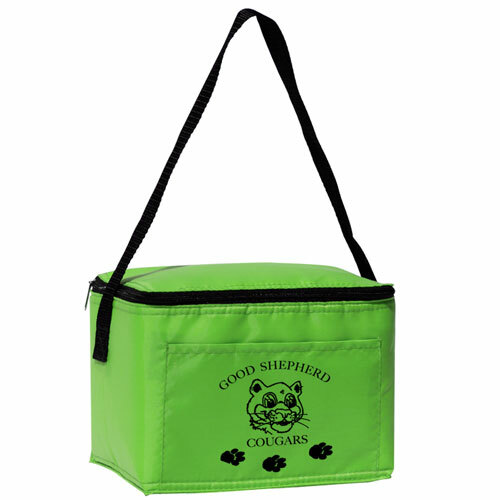 Decorate the ample space with a variety of colors via full color transfer, pad print or silkscreen imprint methods. 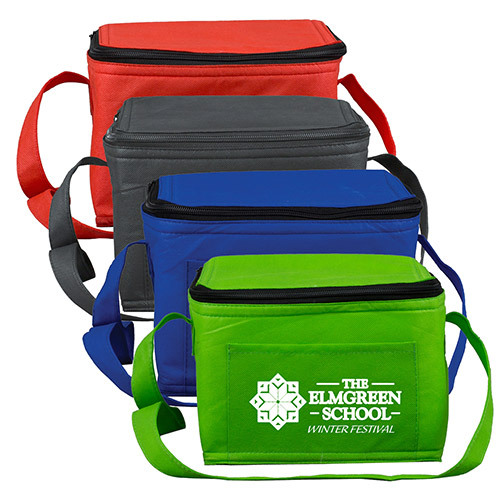 Schools and universities are perfect promotional choices. Invest in yours today! Bulk / 19 lbs / 100 pcs. / 13 x 14 x 26box.